For those who may not know, one of the many Member Benefits of the HSCG is the opportunity to partake in the Certification Program. The Master Certification level is the third and final level of Certification that an HSCG Member can achieve. Comprised of 4 separate parts & allowed up to 2 years to complete it, this test is not for the faint of heart, people. 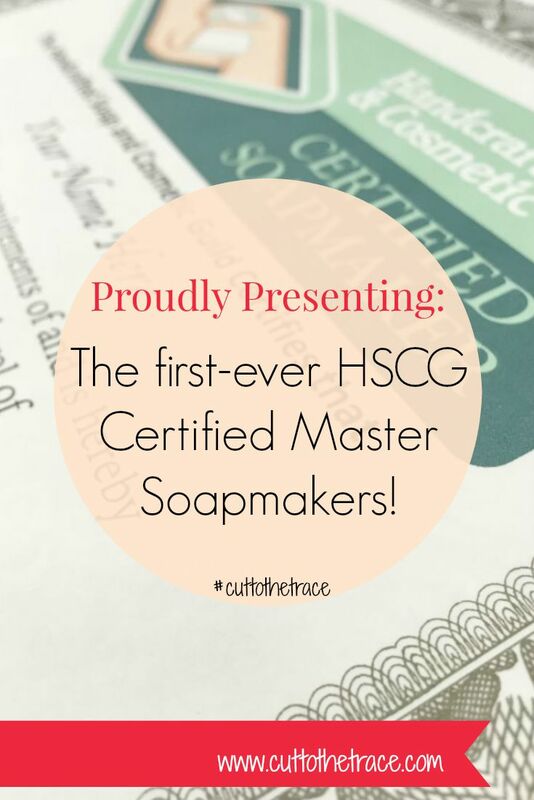 Just think of it as the SAT’s of HSCG soapmaking certification. The Master level was implemented in 2012 to further evaluate the knowledge & experience of the soapmaker, along with their ability to research & investigate new areas, & expand the awareness of the handcrafted soapmaking community. 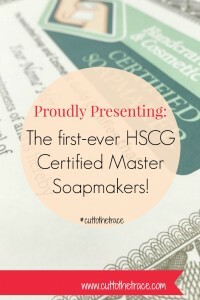 If you were able to join us in Indianapolis, IN this past April for the annual conference, then you had the pleasure of helping us congratulate the very first 2 HSCG members ever to be awarded the HSCG Master Certification: Anne-Marie Faiola of Bramble Berry Inc., & Jackie Thompson of Gaily Rebecca Soaps! 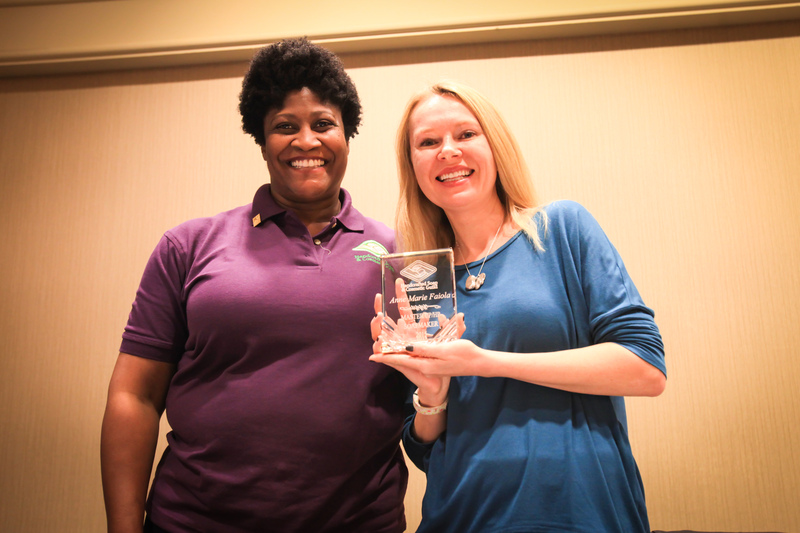 HSCG President Feleciai Favroth presents Anne-Marie Faiola with her Master Certification award at the 2015 HSCG Conference. 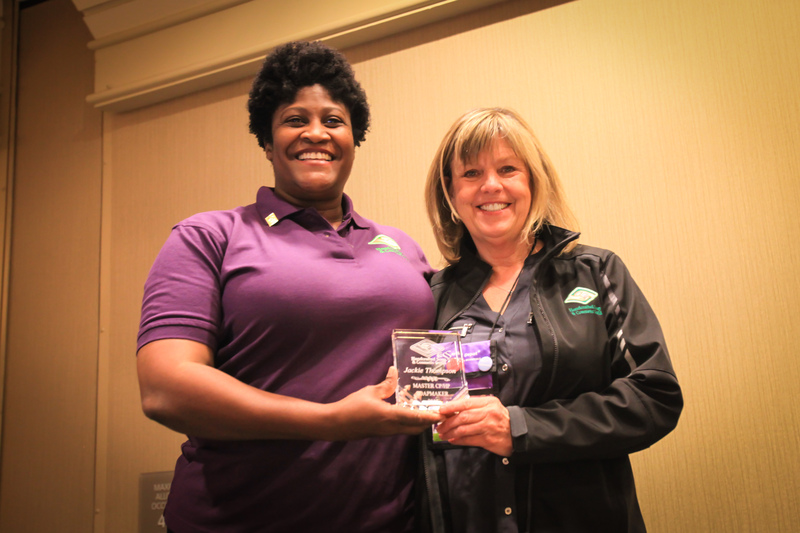 HSCG President Feleciai Favroth presents Jackie Thompson with her Master Certification award at the 2015 HSCG Conference. So what are YOUR thoughts? Are YOU an HSCG Certified Member? What do you feel that you got out of the Certification process? We want to know! Drop us a line in the comments below to share your Certification story!